Eighty-five years after it first broadcast in English, WILL SIMPSON tells the amazing story of one of the world’s most influential broadcasters. One of the EU’s six founding members, Luxembourg is best known in 2018 for its low taxes, high finance and for being the home of the European Court of Justice. But for most of the 20th century, its name was synonymous for something far more exciting: broadcasting pop music. In fact, as far as the UK is concerned, the concept was pretty much invented in the Grand Duchy. 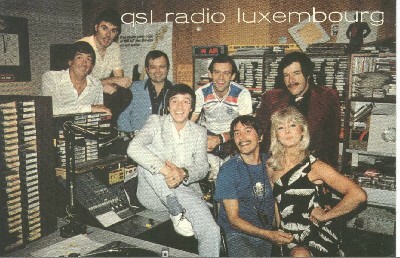 The story of Radio Luxembourg starts with a transmitter – a 100 watt one installed by radio pioneers Francois and Marcel Anen at their attic room in Luxembourg City. They used it to broadcast mainly military and orchestral music until in 1929 the Anen brothers jumped into bed with Radio Toulouse to create Compagnie Nationale de Radiodiffusion Luxembourgeoise. When the transmitter was further boosted to 250 watts – enough power to reach the UK – CNRL saw a business opportunity, and a chance to break the BBC’s monopoly, and in 1933 launched an English language service broadcasting popular entertainment over the Channel.